Need an email service for your domain but don't need a website yet? Professional email addresseses and webmail when there is no need for storage. Ideal for use with site building services like Weebly and Wix. Entry level professional email hosting ideal for when web space is not required. Create up to 5 email addresses. For those who take their email seriously. Create up to 25 email addresses. Create up to 100 email addresses for up to 10 different domain names. Unlimited storage and archive space. Enhanced security on all levels. Protection against persistent attacks, malicious attacks blocked in real time, IP blacklist protection and CloudFlare's ServerShield™ security solution. Instantly create a ready-to-publish professional web site for your business! Our Web Presence Builder enables you to build and publish a professional website within minutes. Add an online store, Facebook integration, search, site analytics, and more! Already have a web site and hosting service but want to move your service to us? Only the highest-quality server hardware will do. We source the best server hardware from Dell™, Supermicro® & Intel® to deliver great performance & value. "5 years flawless service - I've been using UKC for years now, I have multiple domains one the same hosting plan which receive a decent amount of traffic - their support is fantastic, they have a very good technical knowledge and are hugely responsive"
"Very helpful support team - I have kept my website up to date for 8 years. However, I'm like a good driver who knows nothing about how car engines work. So, moving my website across to UK Cheapest, I struck a few problems due to my lack of understanding. But the support staff were really great. It took us quite a bit of dialogue to work out what was going wrong. At no time did they make me feel stupid or a nuisance. And everything is now up and running. Thanks, folks!" Signing up to our affiliate and referral programme is fast, free and fun. Use your personal affiliate link or our web banners to refer customers. View real time referral statistics and earnings in your Client Area. We have been providing domain name registration and web hosting services to UK and International customers since 2002. We have a long track record and thousands of customers happily place their trust in us. We ensure that the latest features for all of our services are implemented quickly and efficiently. Your account is never out of date or obsolete. 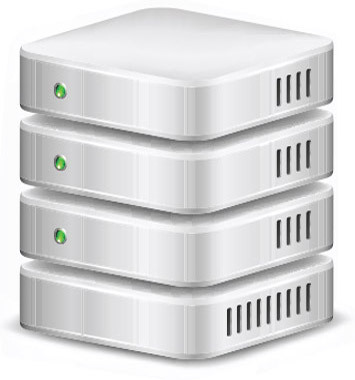 We offer a range of email hosting and web hosting plans to support your needs. Easy upgrade paths enable you to grow your account in your own time. Copyright © 2015 Colcatweb Ltd / UKC. All rights reserved.